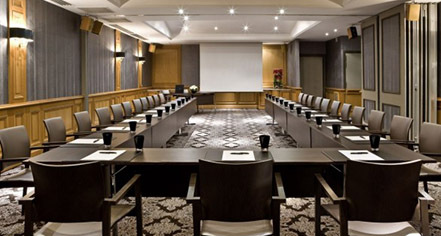 Eighteen outstanding meeting venues reside within the Hôtel Scribe Paris Opéra by Sofitel, which are terrific for hosting any occasion. Most of these marvelous venues reside within either the Salons des Suites or the Salons Lumière. Created from the genius of Jacques Grange, both room-types are fantastic for professional events where establishing an extraordinary first-impression is paramount. Yet, each collection yields their own remarkable charm. The rooms of the Salon Lumière are great for formal business gatherings, while the Salon des Suites contain an informal atmosphere best used for jovial receptions with colleagues. 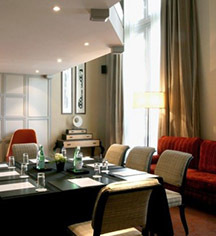 The Hôtel Scribe Paris Opéra also possesses two spacious meeting rooms that are well-suited for larger festivities. Guests interested in throwing spirited celebrations will be impressed with the ornate La Galerie de la Nouvelle Image. A beautiful art gallery adorned with the finest contemporary artwork, La Galerie is perfect for trendy, exciting extravaganzas. But over at the neighboring Le 1895, guests will encounter a more tranquil, refined space. This massive venue is in actuality the very room where the Lumière brothers debuted their fateful film in 1895. Due to its historical significance and sophisticated ambiance, Le 1895 has been a popular place for hosting elegant galas and dinner parties.